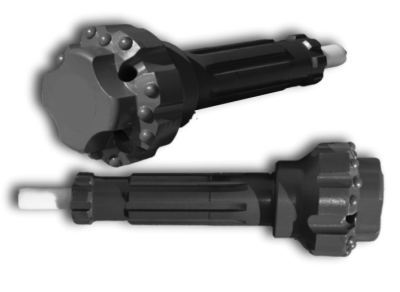 Rock-Tech International offers a full line of standard and custom Hole Openers in all sizes (from 2 ¾” thru 36”) for all industry hammer shanks. You have a choice of standard, premium (dyanite), or diamond enhanced carbide buttons. Wear pads, back reamer buttons, and or buttons on the pilot can be added for an additional fee. All Hole Openers are manufactured from the highest quality aircraft alloy steel. We love a challenge so bring us your design or use ours!